This Performance Automatic C4 street smart transmission kit is perfect for your 1979-1995 Mustang! 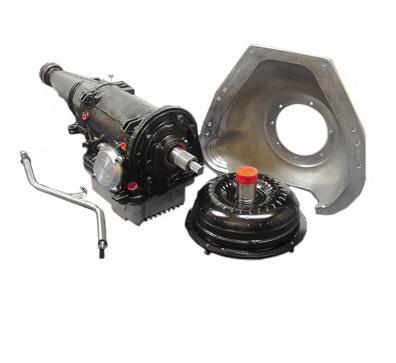 This 1979-1995 Mustang C4 transmission kit from Performance Automatic is a great way to get your Fox Body performing better. 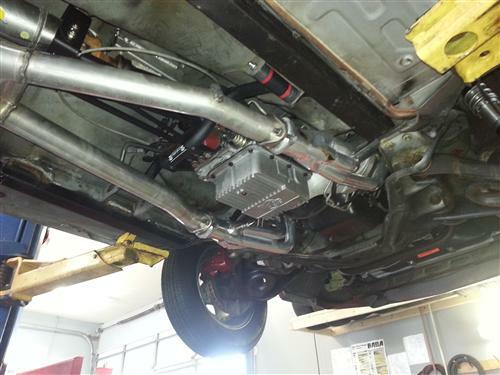 This C4 Street Smart system includes a Super Streeter C4 transmission, bell housing, Dipstick, Tube, and an 11" torque converter capable of handling up to 550 horsepower. These parts have been put together in this all-in-one kit to get your Fox Body Mustang shifting and driving smoothly again. Perfect for replacing slipping transmissions, this kit features a lifetime warranty, so pick yours up from Late Model Restoration, and get your Mustang back on the road! C4 Transmission is a case fill model. This kit comes with a Deep Aluminum Pan, Bell-housing & Correct Tube and Dipstick. Stall converter has 10.5" bolt pattern. A 157 tooth flexplate is recommended for this kit. Must specify if you need 11" bolt pattern.